Service levels that couldn’t be higher. Our technicians have decades of experience diagnosing and carrying out repairs on all models of cars and vans. As our name suggests, we specialise in VW group cars – diagnosing and repairing Volkswagen, SEAT, Audi and Skoda marques. We can even quote for bodywork repairs – just ask. Hourly rates that keep costs lower. 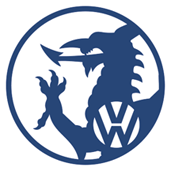 At Welsh VW Specialists, we’re committed to offering a premium service at realistic rates. We’ll always provide you with a quote before we start work, and what we quote is what we charge! 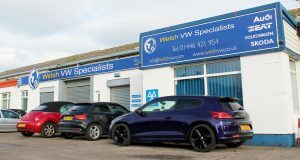 For 25 years, Welsh VW Specialists have been repairing every type of car and van. As we use manufacturer-approved parts and fully trained mechanics, we offer a genuine alternative to main dealerships for customers in South Wales. Call us today on 01446 421 954 or contact below. After several failed attempts from other garages to diagnose my Audi A4’s dashboard light antics, the Welsh VW guys eventually discovered what the problem was. And got it sorted! Big thanks to Matt and the team for their patience and expertise.